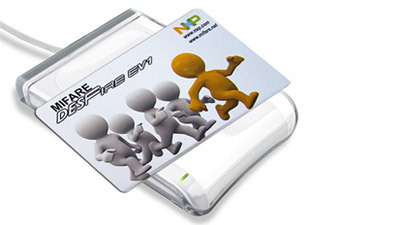 MIFARE produced by NXP is the most commonly used chip technology in terms of applying RFID cards to ID applications such as access controls, corporate identification cards or loyalty cards. MIFARE chip cards use 13,56 MHz frequency and comply with ISO 14443 Norm. You can purchase MIFARE chip cards either as blank cards or imprinted, encoded and personalized according to your wishes. We also provide professional card software as well as card printing systems that enable you to print, manage and encode MIFARE chip cards. Apart from the selected MIFARE chip card like MIFARE DESFire or MIFARE Classic we offer you many compatible MIFARE card reader and even hybrid card reader who are compatible with magnetic stripes or other RFID chips like LEGIC advant or iCLASS chip cards. All MIFARE chip card readers are high quality products which are very customer-friendly and cost-effective. Just get in touch with our card reader experts and get first class service and support for free! The MIFARE Ultralight chip cards are the smallest MIFARE chips. Ultralight chip cards are ideally suited for reasonable priced applications that require a minimum amount of data storage. Ultralight chip cards are often inexpensive and a very cost-efficient solution for many ID businesses. 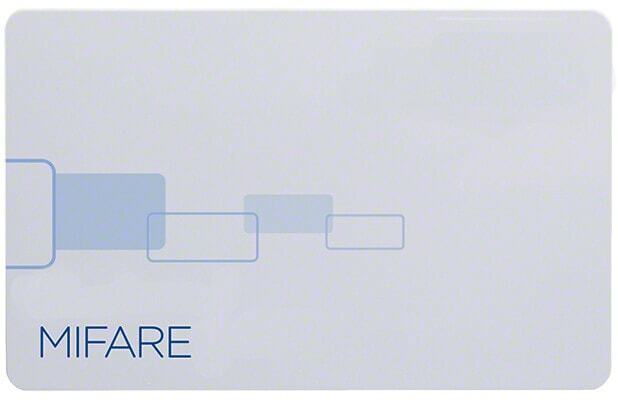 The MIFARE Plus S chip card is the official progression of the very successful MIFARE Classic chip card. However, the MIFARE Plus S 2K and Plus S 4k offes a higher security standard due to its Crypto01 and AES encryption and comes fully packed with a 2048 byte or 4096 byte memory capacity. The MIFARE Plus X chip cards have the same features like the MIFARE Plus S cards. However, the MIFARE Plus X 2K and the MIFARE Plus X 4K also offer protection against DDoS-attacks. The MIFARE DESFire EV1 chip cards meet highest security standards due to their 3DES, DES and AES encryption and also ensure fastest data transfer up to 848 Kbit per second. The MIFARE DESFire EV1 4K chip card enables you to operate up to 28 applications including an individual data storage management. The MIFARE DESFire EV1 8K chip card has an average life span of 500.000 write cycles which is roughly an equivalent to ten years. Accordingly, this card is the most durable and biggest chip chard that is produced by NXP. MIFARE Prox cards are a perfect solution for businesses and organizations, who need an unique high-level security chip card. Prox chip cards cant be encoded and only the UID can be read from particular Prox card readers. Therefore, these cards are especially secure. MIFARE Prox chip cards are therefore most commonly applied to manage access controls, high-security visitor, staff or employee managements.